In sharp contrast to its lavish boutiques and suntanned vacationers dressed to the nines, a darkly dressed elderly woman bent with age passes by leading a donkey laden with vegetables through the town's narrow streets. Her presence a stark reminder that the island is more than a playground for holiday visitors and cruise ship revelers. 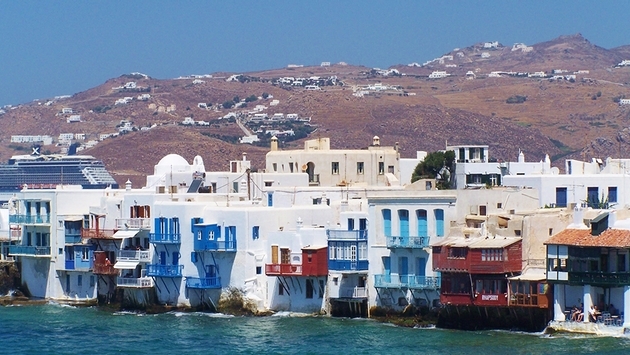 It is still home to ten thousand Greeks, many whose families go back generations before Mykonos became the stunning tourist destination it is today.